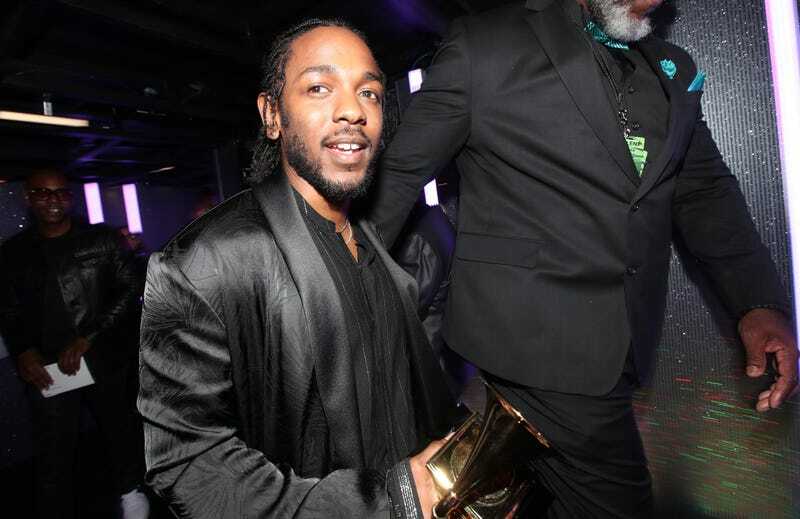 Kendrick Lamar made history Monday afternoon, becoming the first rapper to win a Pulitzer Prize. In doing so, he also became the first nonclassical or nonjazz artist to ever take home the coveted award, which he won for his album Damn. The Pulitzer committee called Damn. “a virtuosic song collection unified by its vernacular authenticity and rhythmic dynamism that offers affecting vignettes capturing the complexity of modern African-American life,” USA Today reports. The album also won a Grammy this year for best rap album, but was overlooked for the album of the year Grammy, losing out to Bruno Mars. Each year, the Pulitzer committee identifies the country’s best contributions to journalism and the arts. The prestigious awards are also among the most competitive. NPR reports that more than 2,400 submissions were considered for this year’s Pulitzers, with awards being handed out to only 21 winners.